You are required to register with ShaFoLo and and expressly hereby agree, represent, warrant and covenant so long as you are the user of ShaFoLo, you shall provide ShaFoLo with true, correct, factual, accurate, truthful, and complete registration information (“Informations”)including but not limited to your name (“User Name”), your bank account information, e-mail, address and password which you will use to access the Service) and to ensure and keep your Informations accurate and up-to-date with ShaFoLo from time to time. Failure to do so you shall constitute breach of this Terms of Service, which may result immediate termination of your ShaFoLo account with us. -willfully or deliberately create, carry on, access and/or use a User Name or ShaFoLo account that is subject to any rights of a person other than you without the proper and appropriate authorization; or use a User Name that is a name that is otherwise offensive, vulgar or obscene or otherwise unlawful. You are solely responsible and liable for all the activities, deals and transactions that occurs and process in your own registered account with ShaFoLo and shall be responsible to maintain and up keep the confidentiality of your ShaFoLo password. You shall never use, create and access third party user’s account without such other user’s prior express permission and authorisation to you. You shall immediately notify ShaFoLo in writing of any unauthorized use access of your account, or other account related security breach of which you are aware by any unauthorised personnel’s or users. You represent and warrant that if you are an individual, you must be of legal age and have the legal capacity to enter the valid and legal enforceable contract, or that if you are registering on behalf of an entity corporation, partnership or any other form of entity which is legally formed under the Laws of Malaysia, that you are legally authorized and permitted to enter into, and bind the entity to, this Terms of Service and to register for the Service. ShaFoLo is concerned about the safety and privacy of all its Users, especially children. By registering to be a Seller, you hereby affirm that you reach the age which you have the legal capacity to accept and to be bind by the Terms & Conditions stated herein. Please be warned that If you are under age of 18you are NOT AUTHORISED to access and use the Service on behalf of yourself or any other person or entity, and you MUST NOT provide ShaFoLo with any of your personal details. We,ShaFoLo, ensure that we have taken the proper and great measures to provide you with the best experience while using ShaFoLo.ShaFoLo hereby disclaim that we shall not be responsible for any damages and loss suffered by the Sellers’ use and access of ShaFoLo services from time to time including but not limited to the authorised or authorised third party access or use of Sellers’ account with ShaFoLo. However, ShaFoLo hereby confirm that we have no control over the conduct of any Sellers, Customers or any other Users and disclaims all liability in this regard. Sellers are recommended to carefully and thoroughly examine and check with their respective customers all necessary details related to their Order prior to any engagement been made. To become a registered Seller on the Service, you are required to register a User account directly on the Service with the terms and conditions stated therein by providing us with the Informations stated above and in the Service system. The items or the food listed by Seller in ShaFoLo are all self declared by the respective Seller. The seller is solely responsible for the description, Halal/ Non-Halal/ Vegetarian description, categorization, pictures, and information related to the food. ShaFoLo do not verify these information and shall not be held responsible in case of mismatch information. ShaFoLo reserved the rights to remove the listed items without prior notice. ShaFoLo reserved the right to charge the seller a fee should there be a dispute. In the end of the registration process, you will be asked to choose and provide a password, which must be kept in confidence at all times. You agree to not disclose your username and password to any third party. Payment shall be transferred directly to the BANK account provided by Sellers. All earnings received shall be accumulate and finalized in weekly basis. Each week starts to reset on 12.00am every Sunday. Earnings shall then processed by the admin and to transfer to Seller within 3 working days. However, you acknowledge and agree that ShaFoLo reserves the right, in its sole discretion, to amend, adjust and revise the commission amount charged on the amount per quantity sold on the platform. Please take note that ShaFoLo will provide sufficient notice of any changes to the commission amount via the Site, Application and Services, prior to the enforcement and implementation of the same. ShaFoLo reserved the right to credit or void any transaction without prior notice if there is a dispute or complaint. If a Order Request is cancelled by a Customer before making payment, the Seller shall not be entitled to be paid any of the Order Amount. If a Order Request is cancelled by a Customer between after payment is made, the Seller shall be paid 100% of the Order Amount and there will be no refund to the Customer. In case a Seller cancels Customer’s Order after payment made, the Company will credit the Customer with the full Order Amount such Customer has paid to ShaFoLo. Company reserves the right to charge the Seller who cancelled the Order Request with the Order collected by ShaFoLo as warning. Additionally, ShaFoLo reserves the right to demand and impose penalties on from Seller the Order Amount which received if there is a a complaint by a Customer received by ShaFoLo with respect to such the food sold, , at its sole discretion, that such Food was not compatible with ShaFoLo standards of service or in case of any misconduct or negligence of the Seller. ShaFoLo shall not liable, bear and responsible for any cost, expense, loss or damage that you may suffer or incur as a result of Seller’s or Customer’s cancelation of an Order. 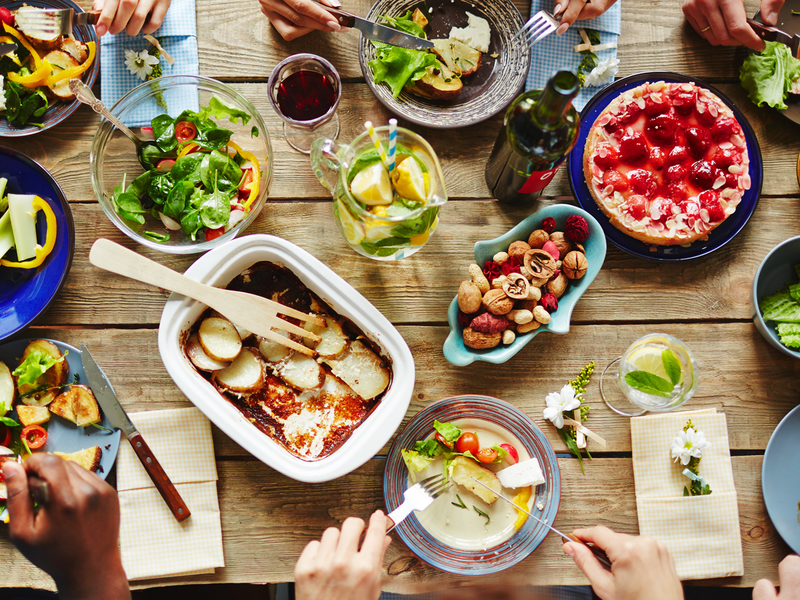 You are to ensure that food prepared is safe and good for consumption at all times and it must be consistently adhere to the Food Regulation 1985, Food Act 1983, and Food Hygiene Regulation 2009. There are certain code and conducts which are strictly prohibited in ShaFoLo. Please read the following restrictions and limitations in details and carefully. Your failure to comply with the provisions set forth herein, it may result in the termination of your access to ShaFoLo and it may also expose you to civil and/or criminal liability. -Use ShaFoLo in any form of spam, unsolicited mail or similar conduct. As a Seller, provide false, wrong , misleading or inaccurate information with respect to the service you offer through ShaFoLo for Customers, including, but not limited to any representation you make with respect to the food you offer on ShaFoLo. Bypass ShaFoLo by forwarding and providing your personal and contact details (as emails, phone numbers or sites address) to contact and transact with other Users of ShaFoLo via ShaFoLo platform to avoid paying commission to us or for other purposes. ShaFoLo allows you to upload, post, publish and make available through it, your own copyright materials such as text, images, photos, videos, and any other proprietary materials, including without limitation Sellers’ posts on their pages and/or any part thereof and links to copyright materials (the “User Generated Content”). As long as your User Generated Content is subject to the applicable copyright law and legally permitted and owned by you, such User Generated Content shall remain at all times, and to the extent permitted by law, your sole and exclusive property. You understand and agree that you are solely responsible for your User Generated Content and the consequences of posting or publishing such material on ShaFoLo, in any way. You represent and warrant that you are the rightful and legal owner of the User Generated Content which uploaded by you to ShaFoLo or that you have (and will continue to have) all the necessary licenses, rights, consents, and permissions from the rightful and legal owners of such User Generated Content, which are required to use and to enable ShaFoLo to use the User Generated Content uploaded by you to ShaFoLo and that such User Generated Content does not infringe any third party’s copyright or other rights. You agree that you will not post or upload any User Generated Content containing content which is unlawful for you to possess, post or upload in the country in which you are resident, or which it would be unlawful for the Company to use or possess in connection with ShaFoLo. Company explicitly reserves the right to remove the User Generated Content without giving any prior notice, at its sole discretion. When you upload, post, publish or make available any User Generated Content on ShaFoLo or use such User Generated Content via ShaFoLo, you grant to the Company an irrevocable, perpetual, non-exclusive, royalty-free, transferable, assignable, sub-licensable and worldwide license, to use, reproduce, distribute, transmit, make derivative works of, display, copy, make available to the public and perform that User Generated Content, along with your name, details, trade-marks, service-marks and logos, in connection with ShaFoLo, whether through the Internet, any mobile device or otherwise, in any media formats and through any media channels known today and developed in the future. You agree that the Company may remove at any time any User Generated Content you have uploaded to ShaFoLo in its sole discretion with or without any reason. ShaFoLo and the Intellectual Property rights pertaining thereto, including, but not limited to, inventions, patents and patent applications, trademarks, trade names, logos, copyright materials, graphics, text, images, designs (including the “look and feel” of ShaFoLo), specifications, methods, procedures, algorithms, data, technical data, interactive features, source and object code, files, interface, GUI and trade secrets, whether or not registered (collectively, “Intellectual Property”), are owned and/or licensed to the Company and subject to copyright and other applicable intellectual property rights under applicable laws and international conventions. Unless expressly permitted in the Terms, you may not copy, distribute, display, execute publicly, make available to the public without ShaFoLo consents and permissions, reduce to human readable form, decompile, disassemble, adapt, sublicense, make any commercial use, sell, rent, lend, process, compile, reverse engineer, combine with other software, translate, modify or create derivative works of any material that is subject to ShaFoLo’s proprietary rights, including the Service’s Intellectual Property, either by yourself or by anyone on your behalf, in any way or by any means. You are hereby prohibited to amend, revise, remove or delete any and all copyright notices, restrictions and signs indicating proprietary rights of ShaFoLo, including copyright mark [©] or trademark [® or ™] contained in or accompanying the content included in the Service, and you represent and warrant that you will abide all applicable laws in this respect. You are further prohibited from using, diluting or staining any name, mark or logo that is identical, or confusingly similar to any of ShaFoLo’s marks and logos, whether registered or not. 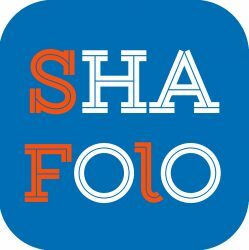 “ShaFoLo”, ShaFoLo™, Company’s marks and logo and all other proprietary identifiers used by the Company in connection with ShaFoLo (“Company Trademarks”) are all trademarks and/or trade names of the Company, whether or not registered. All other trademarks, service marks, trade names and logos which may appear on ShaFoLo belong to their respective owners (“Third Party Marks”). No right, license, or interest to the Company Trademarks and/or to the Third Party Marks is granted hereunder, and you agree that no such right, license, or interest shall be asserted by you with respect to the Company Trademarks or the Third Party Marks and therefore you will avoid using any of those markswhich may cause confusion and misleading to the Users. At any time, you may change, edit, correct or delete any and all information and details stated in your personal profile. For the cancellation and removal of your registered account from ShaFoLo and on any other related matters or actions in respect of the usual management of your account, you may contact the Company at: (need email) via email to specify and address your request in details.. Company shall have its own rights to terminate your registered account and toremove any information and details pertaining to you from the Service within reasonable time upon the Company’s receipt of your request for the termination or cancellation of your registered account. We will attempt to comply with any request to the best of our capabilities. The use of ShaFoLo and participation in any food sale is solely at your own risk. Except as provided herein, in no event shall the company be liable for any damages whatsoever and howsoever including, but not limited to, indirect, special, incidental or consequential damages of any kind, whether in an action of contract, negligence or other tortious actions resulting from or arising out of ShaFoLo or any food sold on the platform, or the use or inability to use ShaFoLo, regardless of whether the company or an authorized representative of the company has been advised of the possibility of such damages. You agree to defend, indemnify and hold harmless the Company, its officers, directors, employees and agents, from and against any and all claims, damages, obligations, losses, liabilities, costs, debts, and expenses (including but not limited to attorney’s fees) arising from: (i) your use of ShaFoLo; (ii) your violation of any term of these Terms; (iii) your violation of any third party rights, including without limitation any intellectual property rights or privacy right of such third party; and (iv) any damage of any sort, whether direct, indirect, special or consequential, you may cause to any third party with relation to ShaFoLo. It is hereby clarified that this defence and indemnification obligation will survive these Terms. We care for your safety. If you believe and discover a User acted inappropriately including (but not limited to) offensive, violent or sexually inappropriate behaviour, please report immediately such person to the appropriate local authorities and to US; you may provided your report for reporting any misconduct to the Company’s email address is specified below: (need email). However, if a local authority or government body requires personal information regarding misconduct, we will provide the information as much as we can based on good will. The Company respects and concern the intellectual property rights of others. If you believe that your work has been copied or otherwise used in a way that constitutes copyright infringement, please provide the following information in writing to the Company’s Copyright Agent: (i) the contact details of the person authorized to act on behalf of the owner of the copyright; (ii) a description of the copyright work that you claim has been infringed; (iii) a description of the material that you claim to be infringed or to be the subject of activity is deemed to be infringed and that is to be removed or access to which is to be disabled, and information sufficient to permit the Company to locate and access the material (including URL address); (iv) a statement that you have a good faith belief that use of the material in the manner complained of is not authorized by the copyright owner, its agent, or the law; and (v) a statement that the information in the notification is accurate and, under penalty of perjury, that you are the copyright owner or are authorized to act on behalf of the owner of a copyright that is allegedly infringed. The Company’s Copyright Agent can be reached and contacted through the email address stated above. Save and otherwise expressly provided herein, any provision of this Terms may be amended, varied or supplemented by the Company absolute discretion. Any substantial changes of this Termswill be first notified at ShaFoLo’s website. In the event that the Terms should be amended to comply with any legal requirements, the amendments may take effect even immediately, or as required by the law and without any prior notice. You hereby agree and acknowledge to accept the amendments and alteration and to be bound by any of the changes made in the Terms and or any policies. Should you continue to use ShaFoLo after the amendments of the Terms, it will deemed that you have indicated your acceptance to the revised Terms. You are recommended to review the Terms from time to time, as it may be amended varied and supplemented by the Company all the time. Any claims relating to ShaFoLo or its use thereof is to be governed by and interpreted in accordance with the laws of Malaysia without reference to its conflict-of-laws principles. Each of the provisions of this Terms is severable and distinct from other provisions hereof, if any of such provisions is or becomes illegal, invalid and unenforceable in any respect, the other provisions hereof shall in no way be affected or impaired thereby and shall continue to be enforceableand valid and binding on the parties hereto. Any heading, caption or section title contained herein are inserted for the purpose of convenience only and shall not be taken into consideration in construing and interpreting this Terms. , The Terms constitutes the entire terms and conditions between you and the Company relating to the subject matter herein and supersedes any and all prior or contemporaneous written or oral agreements or understandings between you and the Company.